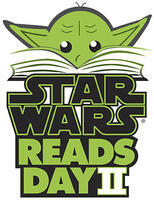 Star Wars Reads Day tomorrow! Hey Star Wars fans! Stop in to the library any time we're open tomorrow, Saturday Oct. 5 and enter to win Star Wars books; do Star Wars crafts and see some special guests from the Star Wars universe! Program is being held upstairs in the children's dept. but teens are welcome too. May the Force Be With You! The winning entries in our annual Amateur Photography Contest for adults and teens may be viewed in this online gallery. Congratulations to all of our winners, and to all who entered--thank you for making this another wonderful photography show! Be sure to enter again next year. Some video from the teen portion of our annual summer Foam Party. Bubble fun in the sun! Teen summer reading is over, and wow, you guys all read a lot of books, magazines, graphic novels and audiobooks! We had 285 teen readers, who read 3477 books! Woohoo! And, [drum roll please], our two Grand Prize winners, drawn at random from all of those instant scratchoff tickets (winning and losing tickets both), are: Katelyn Allen, winner of $75.00, and Jessica Albright, winner of the iPod Nano. Congratulations to you both! Thank you everyone for reading this summer! Hope to see you soon at the library, or maybe at your school. Keep reading! Hello again! I hope everyone had a great weekend. I return this Monday morning with another book soundtrack for you to enjoy. I decided on another popular title, Beautiful Creatures. Forgive me for picking something that might be considered cliche; I'm previewing some other books that aren't so well-known for your musical enjoyment. My interpretation of this title may also be a bit different from yours because I read the graphic novel. 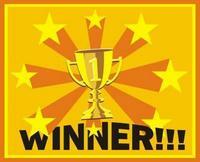 Congratulations to our winning players in the Super Smash Bros Brawl tournament, Ben (1st place) and James (2nd place)! They received a $50 and a $25 giftcard, respectively, from GameStop, courtesy of the Friends of the Library. Thanks to all our players who came out to have a fun time on the Wii. Hey guys! My name’s Gina and I’m Christina’s practicum student this summer at SMFPL. I’m going to school at Kent State to be a Teen Librarian and a practicum is kinda like student teaching (except we’re librarians, not teachers). Occasionally I’ll be posting stuff here related to Summer Reading. Today I have something new that I’m creating and I want to share it with you. 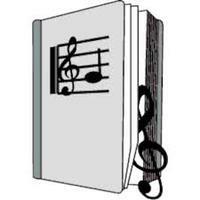 When I read a book and especially if I really like it I always get a song stuck in my head. Because of a wonderful overwhelming response--in other words, LOTS of people signing up!--we have added 6 more sessions of Minecraft Mondays! We now have sessions that start at noon, on the same 6 Mondays, because most of the 2pm sessions are full. So if you were hoping to get in and called yesterday, but the sessions you wanted were full, try calling back and we should be able to fit you in. This is for any teens who have completed 6th grade, through 12th grade. Details here. Thanks! 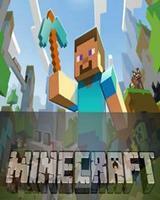 Sharpen those pixelated pickaxes! How does a book come to be? Watch video to find out! start to finish in a seven-video series for book lovers, students, and aspiring writers. Watch the complete video series at WhereDoBooksComeFrom.com. 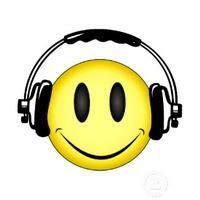 Love listening to audiobooks? Or, haven't tried one yet? Try a FREE audiobook download from SYNC--new titles every week, starting May 30, that you can douwnload and keep. They "sync" a classic title, like Sherlock Holmes, with a recent teen title, such as Death Cloud by Andrew Lane, which is a story of the famous detective as a teen.